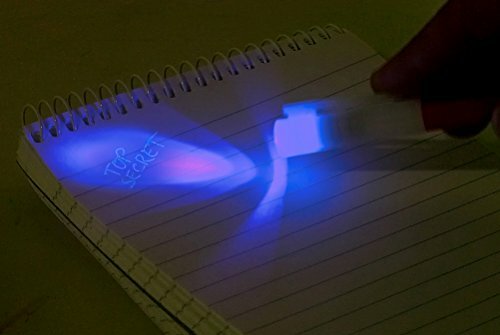 NPW Invisible Pens with UV Light Kit - Sketch & Colour Secret Message Writing Set | The Best Spy Tech Store Online! 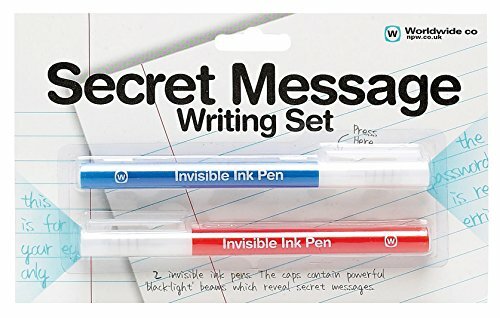 This Secret Message Writing set is both educational and cool! There are two pens in the pack which write with invisible ink; cunningly the cap of each pen contains a powerful ‘black-light’ UV beam, which illuminates the message for those in the know – simply shine onto the page to reveal the secret note! Each pen contains invisible ink, a UV lamp and 4 batteries. Great fun and a top small gift for children from 6 years upwards.